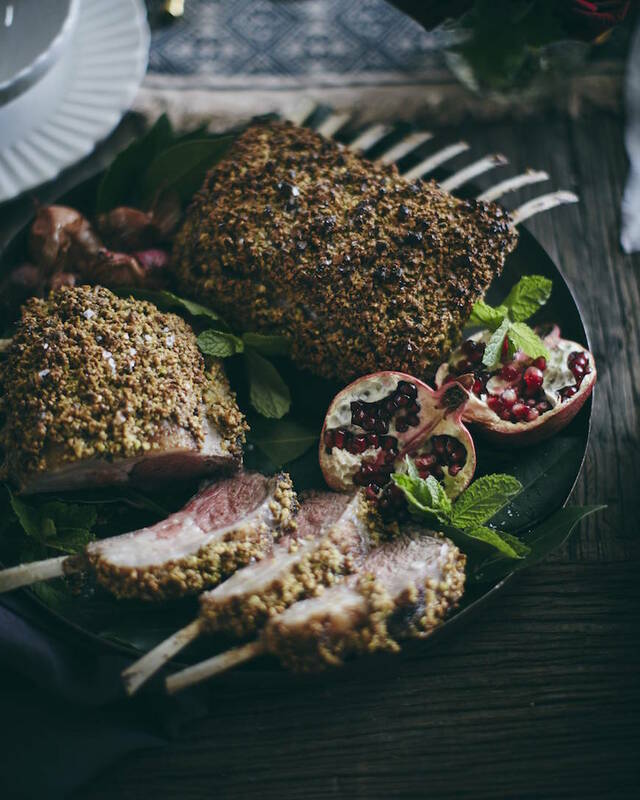 It’s all about this Pistachio Crusted Rack of Lamb for dinner parties this fall and winter season!! 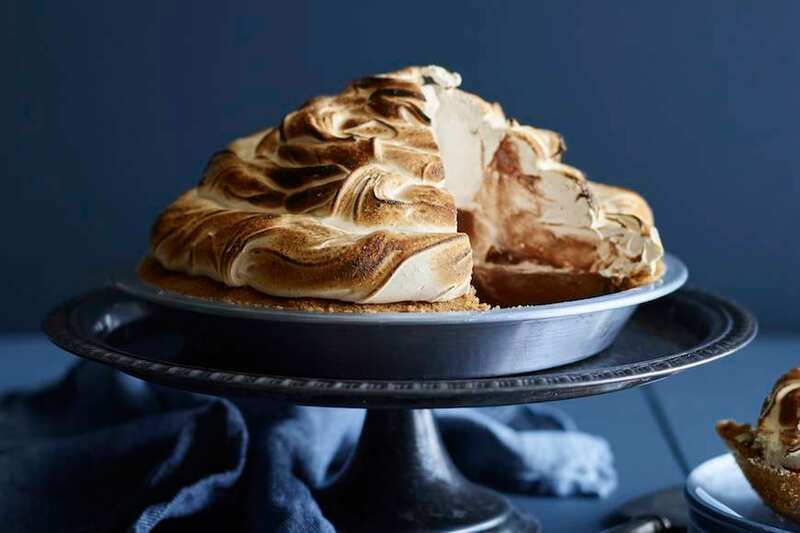 And while it looks fancy – it’s seriously easy to make! 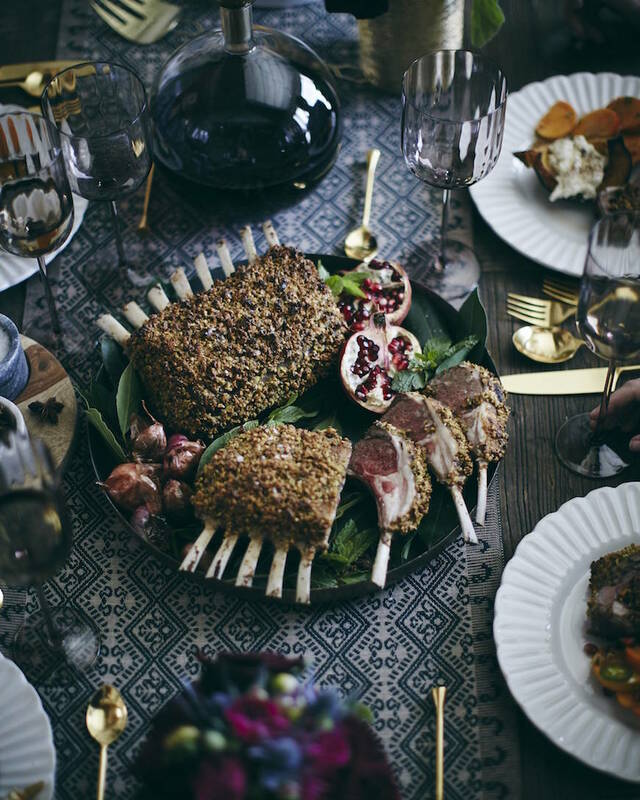 It’s seriously the most fancy looking dinner I’ve ever served – but you guys know I’m down for spending hours in the kitchen so this Rack of Lamb isn’t hard! 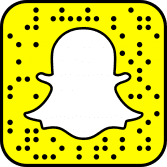 Make it – you’ll thank me later! First the lamb gets seasoned and seared – pretty easy right? Then the pistachio crust goes on and then into the oven it goes! So that’s what I mean… looks fancy but really couldn’t be easier! 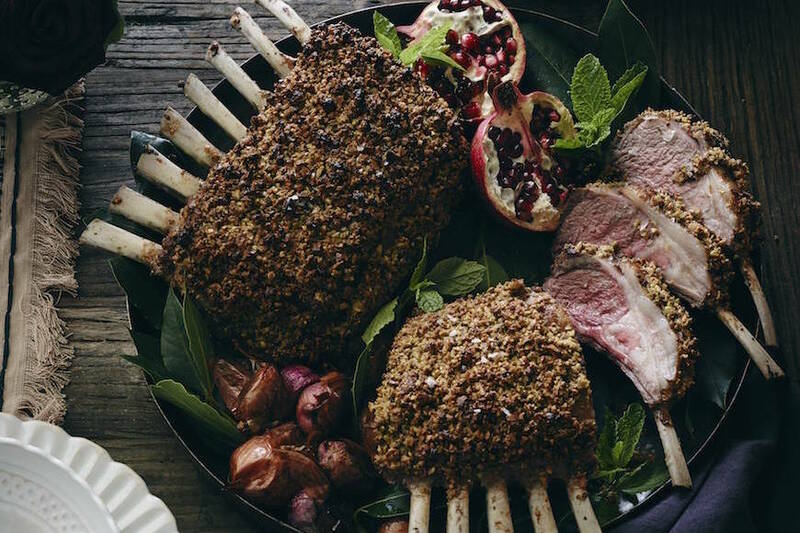 Then just slice and serve and this Pistachio Crusted Rack of Lamb will be the talk of the town! GORGEOUS!!! 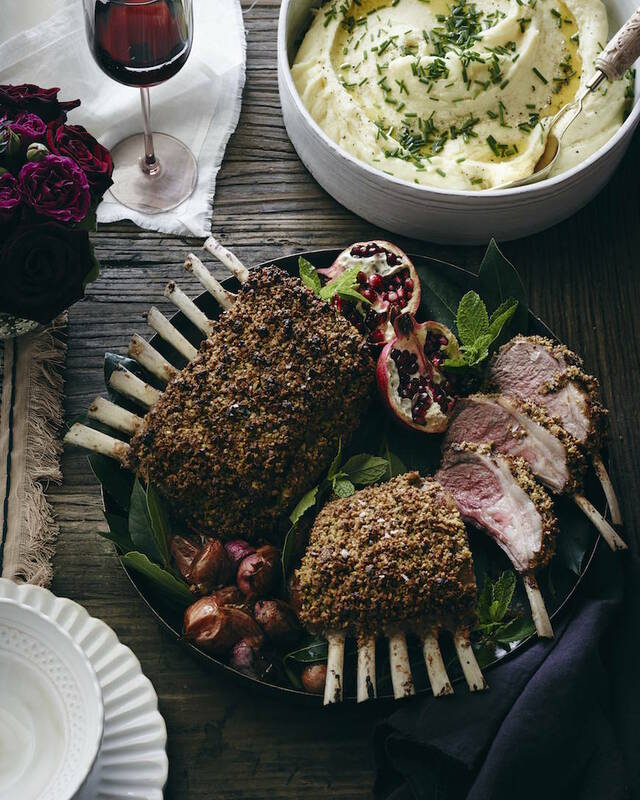 Rack of Lamb is Pete’s very favorite- I am going to have to make this for him! 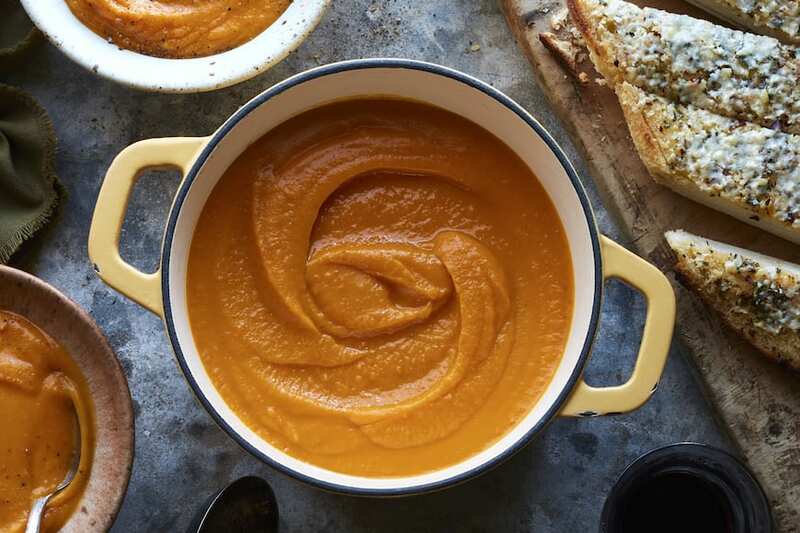 Beautiful recipe and beautiful photos! Can’t wait to try cooking this. Lovely dish and beautiful images! Can’t wait to attempt cooking this. 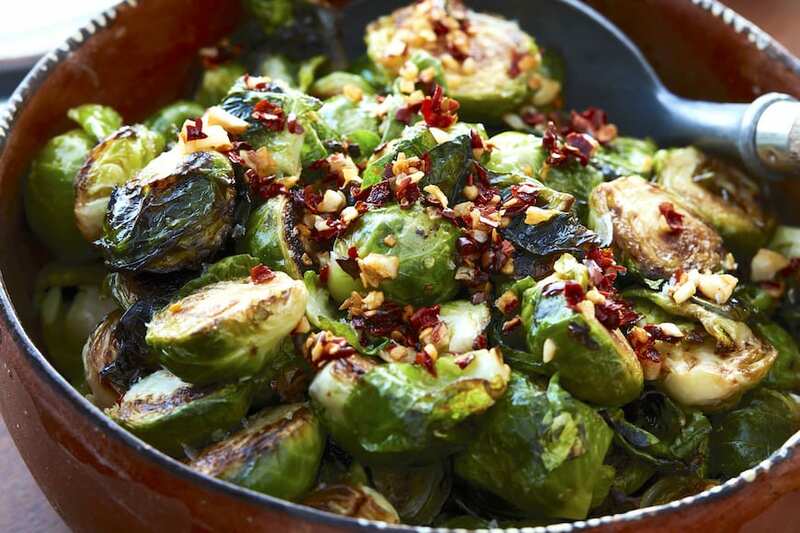 I made this last year for Christmas dinner and it was fabulous! Thanks for the recipe! Any suggestions if you aren’t a fan of lamb? What about my herb roasted turkey?? Rack of Lamb is one of my go-to dinner party entrées as well, Gaby. I’ve made a similar version and agree that it’s fabulous. I trim most of the fat off the rack first, though. I love experimenting with different crusts.